My moment of truth arrives on Monday. I go back to see the doctor, who when I last visited, said she wanted me to drop 15 pounds. I have extended my workouts to nearly an hour and six days a week. I really have tried to keep track of my food, entering the calories on the conservative side and being honest about my unhealthy snacking, namely the Frisbee-sized cookies I get from the Jefferson Diner in New Jersey. But there was the readout on the scale, unblinking: 203.7. Of course, when I get to the doctor, her scale will say something worse because it always does. I was aiming to lose 15 and gained two. The result though was I looked bony and unhealthy. Plus I was cold all the time. I’ve been doing a bit more weight lifting and taking in more protein. I do have to say I feel like I’m filling out a little bit (and not in a paunchy in the poochy kind of way either). My wife says I have dents in my torso (I guess to match the ones in my head!) and my clothes do feel like they fit better. So I guess I am doing something right. 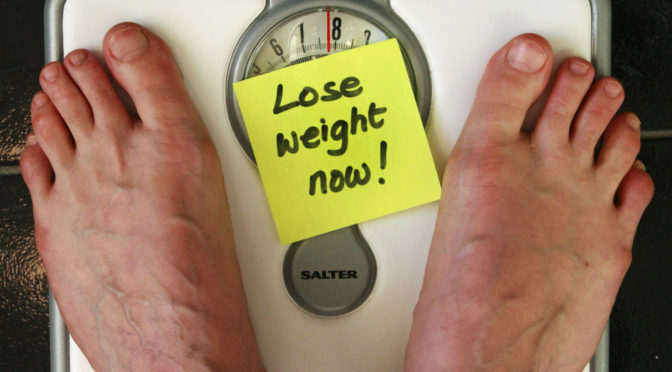 Maybe weight is not the final arbiter of whether you’re healthy. In this case, I feel like the doctor has put her thumb on the scale and made me more concerned with hitting a number than with how I’m doing overall. Will see what she says on Monday.